At CBC News, our approach to election campaigns the past few years has included paying special attention to voter engagement. We've been home to Vote Compass, which makes it easier - and dare we say more enjoyable -- for people to learn about party platforms. And last week we launched Pledge to Vote, a forum for Canadians of all stripes to talk about their priorities, and a challenge to all of us to participate in the democratic process. If you scrolled through our inbox the past few weeks, you'd get the sense that voter engagement is alive and well. Canadians aren't shy about telling us what they think of our coverage, especially when it comes to the fairness and balance demanded by our Journalistic Standards and Practices. Pick any federal party, and we've been told we're on a shameless campaign to undermine them. We've also been told we're on a shameless campaign to help them win on Oct. 19. Our real objective as journalists is to do neither. It's not our job to push Canadians toward one position or another. We want only to inform Canadians so they can draw their own conclusions about which candidates have earned their support. And during an election, we take several measures to test ourselves against that objective. First, we have our news programs log their coverage throughout the campaign. And we measure how much airtime is given to each of the parties. Over the course of this 11-week marathon campaign, we want to ensure that each has an equitable amount of airtime and coverage to make their case to Canadians. So if we see early on that a particular program or station is out of balance, we can adjust our programming accordingly. Note that word "equitable", which is not the same thing as "equal". 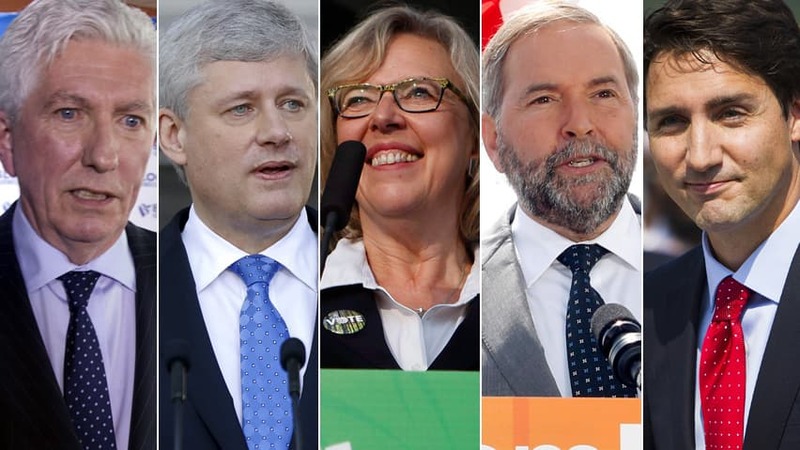 As of today, Elections Canada listed 23 registered federal political parties. Giving them all the same amount of attention would not reflect reality. So we consider their electoral history, their place in current public opinion polls and their profile in the wider realm of daily political conversation. Of course, raw numbers counting how many seconds of airtime the parties get is only part of the story. We have hired an outside firm, Cormex Research, to monitor both the volume and tone of our coverage, as well as how much time we spend on each of the issues. This gives us a more scientific analysis of how our work reflects the campaign, and again allows us to adjust if necessary to ensure our overall coverage is fair and balanced. That assessment, by the way, includes all our platforms. We're applying the same scrutiny to our digital offerings as we do to radio and television. And that includes social media. After the campaign is over, Cormex will put together a final report on our work. And we will be sure to make it public, probably in this blog. Beyond that, the CBC Ombudsman has her own independent process, which includes citizen panels and experts who offer her their views on whether CBC News has lived up to its high standards. For all that, the strong messages we hear from Canadians when they see or hear something that concerns them may be the most valuable feedback of all. The Ombudsman complaint process allows our audience to challenge us and make us accountable. That's not only a necessity as the public broadcaster, it inspires us to do better work.